Palazzo Medici Riccardi in Florence has just inaugurated a new itinerary which winds its way through the fragrant orange trees found within its walls. 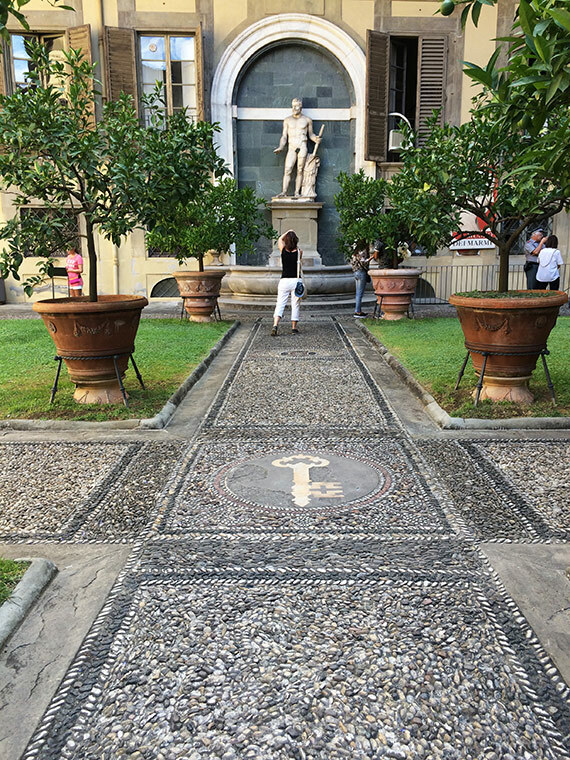 It is a only short path but it will allow everyone free access to admire Michelozzo’s courtyard (also known as the Courtyard of the Columns) and the gardens in the palace. 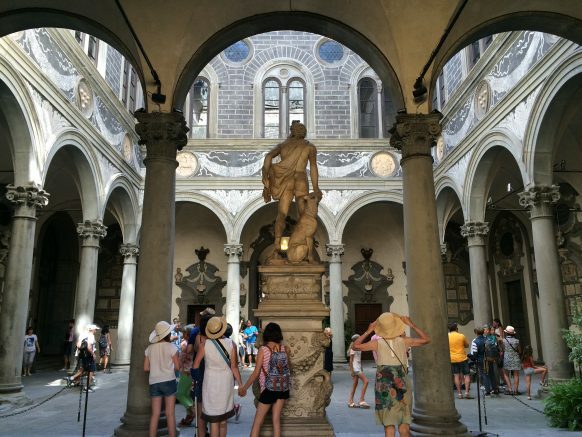 The courtyard is the heart of Palazzo Medici Riccardi and was constructed in the 1400’s by Michelozzo of Bartolomeo Michelozzi. It is a very special space and its walls host many unique pieces including the statue of Orpheus who charms Cerberus by Baccio Bandinelli as well as numerous busts, inscriptions and other ancient pieces from the archaeological collection of the Riccardi family. The west wall displays copies of casts for the sculptures that once adorned the ancient facade of the Cathedral and whose originals are preserved in the Museo dell’Opera del Duomo. The gardens of Palazzo Medici Riccardi were created in the 1400’s as a special refuge as well as a space dedicated to celebrations and parties. In fact, it is here, in this hidden corner, that Lorenzo de’ Medici and Clarice Orsini held their wedding in 1469, and then in 1539, there was the wedding reception for the of Cosimo I and Eleonora di Toledo. Over the course of the years it has been changed it’s look several times up until the early 1900 which is the look presently preserved. 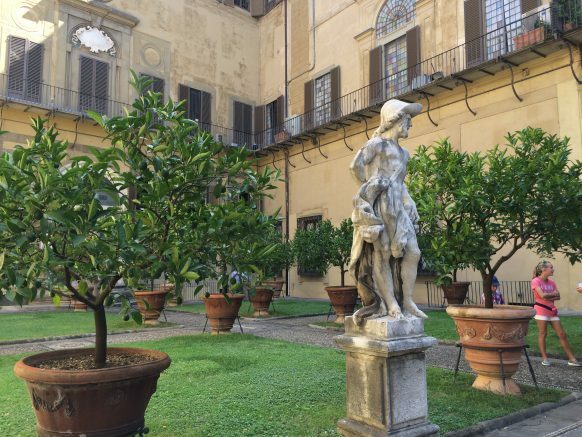 The itinerary of the Palazzo Medici Riccardi Orange Trees will be open to the public Monday thru Friday from 8:30 am to 6:30 pm. Access is available from via Cavour near via dei Ginori. 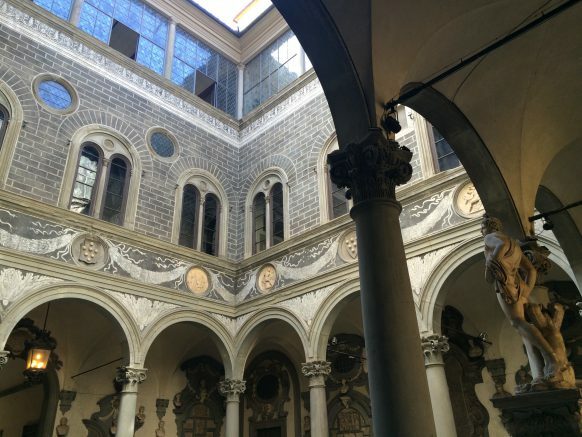 This is a new and enchanting corner of Florence to be discovered…without spending a dime! Ferragosto: What’s Open in Florence (and beyond)?